The term AI may have captured our imagination, but the majority of today’s AI-advertised software represents just a small step forward for business computing. Recently we have seen improvements in technology-generated recommendations and guidance on next steps – advances that involve applying analytics and models to historical data to determine the likelihood of outcomes and evaluate their desirability. However, this is an incremental step forward rather than an unprecedented technological breakthrough. A fundamental component of AI is machine learning, which uses data-driven computing methods and algorithms that “learn” with experience to help guide actions to achieve specific outcomes. Recent advances in robotic process automation (RPA) use machine learning to adjust processes dynamically based on real time data and take action or process information without human intervention. Technology vendors have been using AI-based capabilities as a competitive differentiator. And it’s true that these incremental improvements in our business applications and tools can help make the organization and the worker smarter. However, I believe organizations that are enraptured with the marketing around AI should ask vendors what “intelligence” is available in the software and request examples of how it actually works. Because the majority of vendors now offer AI as part of their software, organizations must focus on what specifically the investment would do for lines of business across the enterprise. 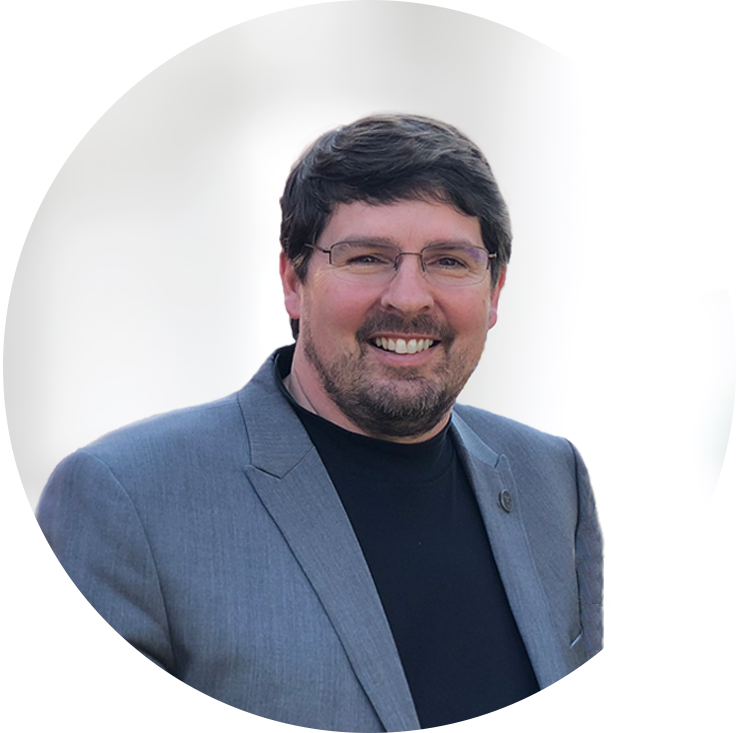 In other words, organizations must engage vendors to get clarity on the value of AI, what is actually in the software product and what the value is in saved time or, better, more intelligent results. The stakes are high. 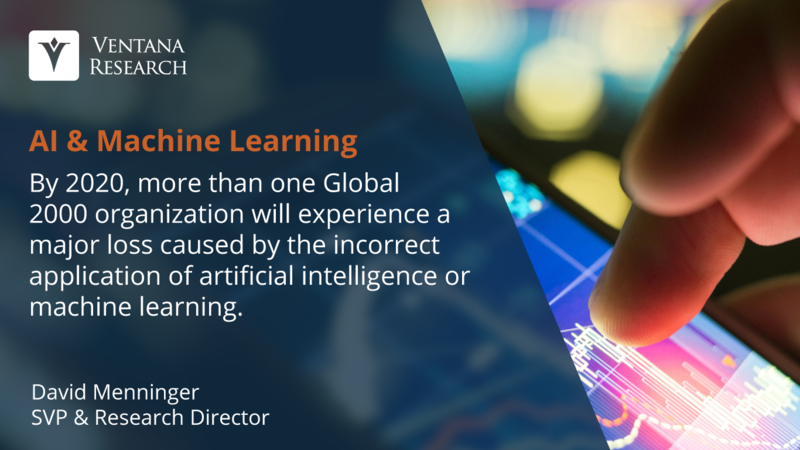 We at Ventana Research believe that by 2020 more than one global 2000 organization will experience a major loss caused by the incorrect application of artificial intelligence or machine learning. The other component of AI depicted in 2001: A Space Odyssey is HAL 9000’s ability to talk to humans. A natural language discussion – in other words, a conversation on a situation or action to be taken – is the face of AI. Over the last couple of years, what are commonly referred to as chatbots have been saving organizations time previously required to respond to employee or customer questions and requests. Using voice and text, these bots have significantly reduced the burden of important but costly business activities while helping to create a more personalized user experience. Improvements in natural language processing have been significant over the past decade, as have advances in enterprise software that uses voice technology. However, confusion and frustration remain common in exchanges with Cortana, Siri and Alexa, underscoring the challenging semantics of natural language processing. The advancements in voice-enabled technologies are significant and these features will become standard in business applications. The combination of machine learning and natural language processing available today still does not match the AI of science fiction, but some vendors are stepping forward to provide better intelligence and assistance to workers across the organization. While I am optimistic about the potential of AI for business, we should also be skeptical and strive always to understand how machines are influencing the actions taken and decisions made by our workforce. Organizations should examine the machine learning and data science that underpin AI-enabled software to understand what drives its interactions and recommendations. If we don’t then we won’t be able to evaluate the potential benefits these investments provide and the results they generate. In my view the only responsible position to take toward the marketing of AI in business software is to insist that vendors cut through the hype and be transparent about what is truly being offered.